Ever since I first began composing music, I’ve always felt that building new audiences requires updating the very idea of “the composer” — from some stuffy old dude with a wig and a quill pen, to a collaborator and cultural ambassador who is deeply integrated with the communities he or she serves. One of the most exciting things about my position as Director of Artistic Programming with Chicago-based music organization Fifth House Ensemble is that I’m able to pursue larger and more complex musical projects than I ever could all on my own. While I’ve partnered before with music ensembles including the Kronos Quartet and Minnesota Orchestra in presenting ambitious programming and community outreach initiatives, being a core member of my own ensemble “family” has afforded me the opportunity to join together with like-minded individuals who are passionate about taking the concert experience to the next level, and to re-imagine what classical programming might be able to provide for 21st-century audiences. Reaching new audiences requires reaching outside of oneself, and beyond the conventional way of doing things. So at Fifth House Ensemble, we’re always looking to collaborate with people who bring their own, unique talents to the table. 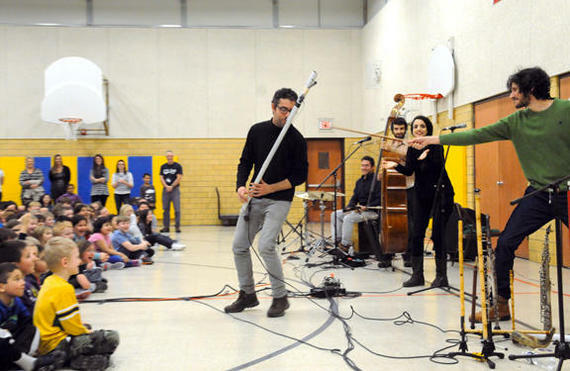 Sometimes that can be a visual artist or animator who can help make the music come alive for our audiences, and sometimes it means working with other musicians who share very different skills and performance experience. Just last week I traveled to Berlin with five of our musicians to initiate just this kind of conversation: a collaboration between Fifth House Ensemble and Mediterranean folk band Baladino in which we’re working to create and present a genre-defying suite of newly composed concert works rooted in Middle Eastern, European, and American vernacular music. With its members hailing from Berlin and Tel Aviv, Baladino brings together instruments and traditions from the wide span of cultures including Sephardic and Ladino (Judeo-Spanish) musical traditions, updating these influences with their own contemporary backgrounds in jazz improvisation and electronica. Through engagement with diverse cultural organizations representing the US, Israel, Spain, Iran, India, and Germany, and by tapping the shared experience of musical memories, this genre-bending program serves as a catalyst for an exploration of music as an indelible part of cultural identity — with the earliest musical memories that our cultural partners and future audience members share with us providing a thematic undercurrent to the show. We want the audience’s experience of seeing our two ensembles share in each other’s respective musical traditions enrich the process of reconnecting with their own musical memories. By sharing cherished melodies that become part of new resulting musical work, our participants witness defining parts of their identity reflected in a new work that is actually much larger than a single concert; it’s a process of repeated engagement that build awareness for the project while also sparking conversation between individuals and groups who might not otherwise engage so readily. 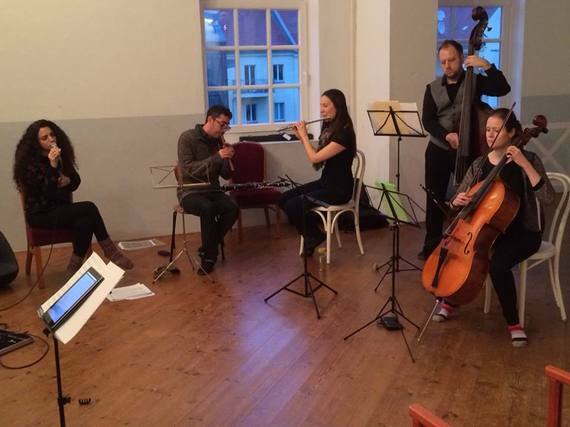 We’re not quite sure where this conversation is headed, but after an initial rehearsal period and salon concert presentation in Berlin it was clear that letting the audience in the on the creative process was a big part of how music organizations can revitalize relationships with their communities. 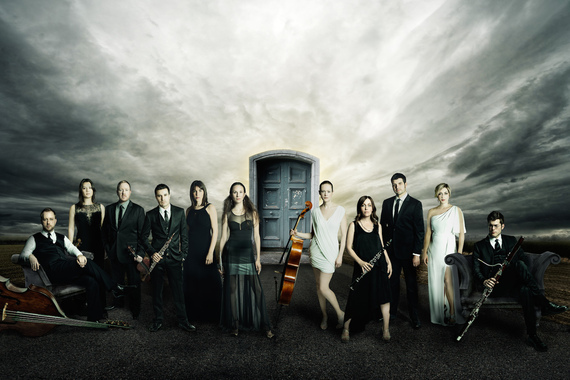 While a defining aspect of my work with Fifth House Ensemble includes cross-genre collaborations and civic practice initiatives, I also think that one of the best ways to let curiosity back into the concert hall is to reimagine past masterpieces in a way that is both faithful to their origins and yet reimagines their meaning in a way that impacts a new generation. This younger generation is increasingly likely to discover music for classical instruments as the soundtrack to films and video games, and our upcoming presentation of Arnold Schoenberg’s epicly-angsty composition Verklärte Nacht (Transfigured Night) at Chicago’s Mayne Stage taps the talents of film and video Chicago film and video artist Adebukola Bodunrin immerses audiences in a captivating interpretation of poet Richard Dehmel’s original text which inspired the composition. There’s a way to stay true to the integrity of past masterworks and explore their contexts in a serious way, while also bringing in new audiences who might not otherwise have an experience with classical chamber music and presenting that experience to them on the highest artistic level–making art accessible in the age of videogames and YouTube requires using every tool at our disposal to redesign the concert experience. When I look at the programming of most major music organizations including major orchestras, I’m struck by how many of their programs leave little reason for even a committed music fan to attend save for the still-significant thrill of seeing a live musician take the risk of playing even a familiar work without a safety net, as it were; what if we realized that it’s this risk that makes live performance so exciting and special, and that what classical music most needs are more ways to make the concert experience special again–and to give us an experience we can’t easily recreate with listening devices and earbuds. The best part of art is that we don’t have to know what will happen beforehand–and that very not knowing is the point. I’ve got into music because it became a way of expressing my curiosity: about sound and how it can affect listeners, about myself and my own limits, and about the many concepts and experiences I encounter in the wide world beyond music. Art has a way of taking us outside of ourselves to new and wonderful places, and I’m grateful that my work with Fifth House Ensemble allows me to advocate for a vision of classical music where experimentation and accessibility each support the other. By letting curiosity back into the concert hall–and with it the associated vulnerability, freedom, and sense of shared community–we’re making a commitment to a new paradigm in which classical musicians listen just as much as they sound.